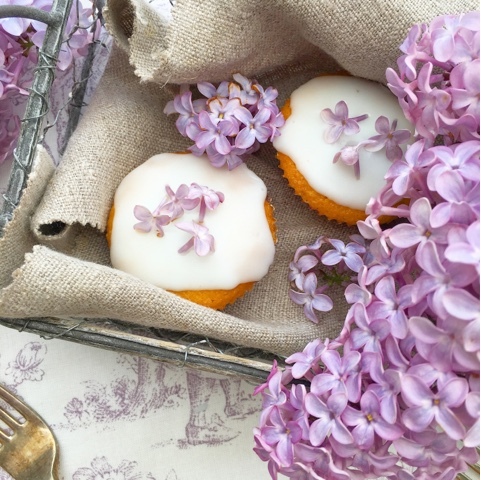 Lilac & Orange Mini Cakes. 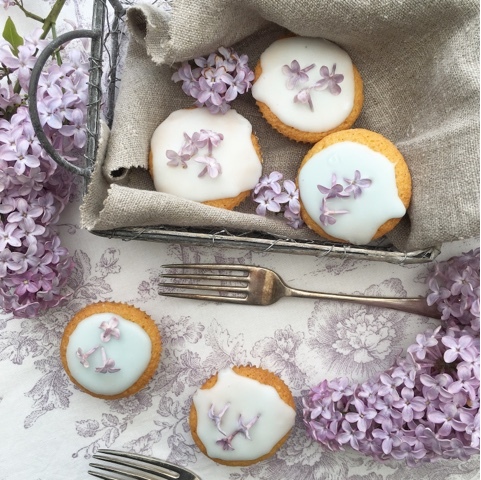 1 large egg, 4oz castor sugar, 4oz stork, 4oz self rise flour, 1/4 tsp baking powder, teaspoon of vanilla paste, zest of one orange, teaspoon of milk. 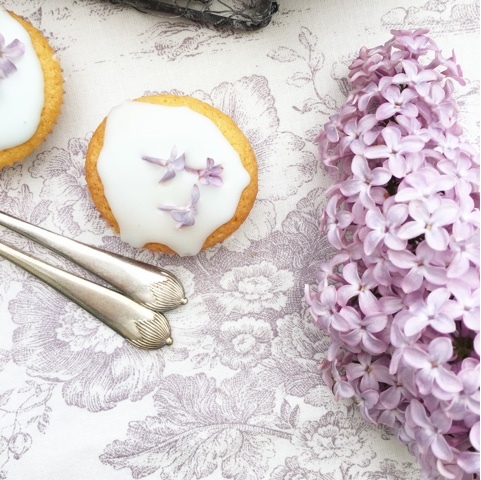 Icing sugar, food colour blue, lilac petals. 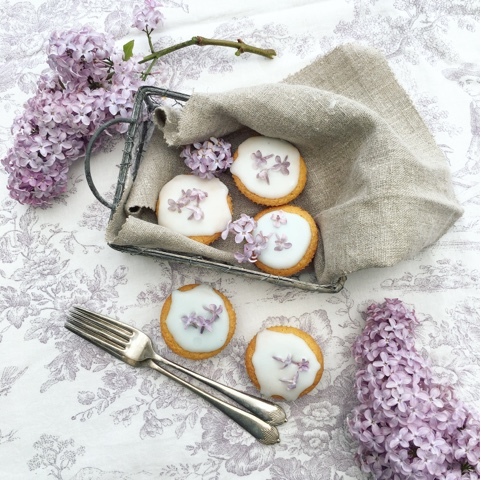 Cream together the stork and sugar, add a pinch of salt and the vanilla paste, grate in the zest of the orange. Add a little of the flour and the egg and mix well. Add the remaining flour, baking powder and the milk. Spoon the mix into cake cases, I used mini ones, and bake for around 20mins on gas 4. They should spring back when touched.